Personal views on local Cambridge issues. By Chris Rand. As mentioned on this blog already, the historic family home at 292 Hills Road is about to be demolished by its owner, despite residents’ attempts to preserve this lovely house. But that’s not all. 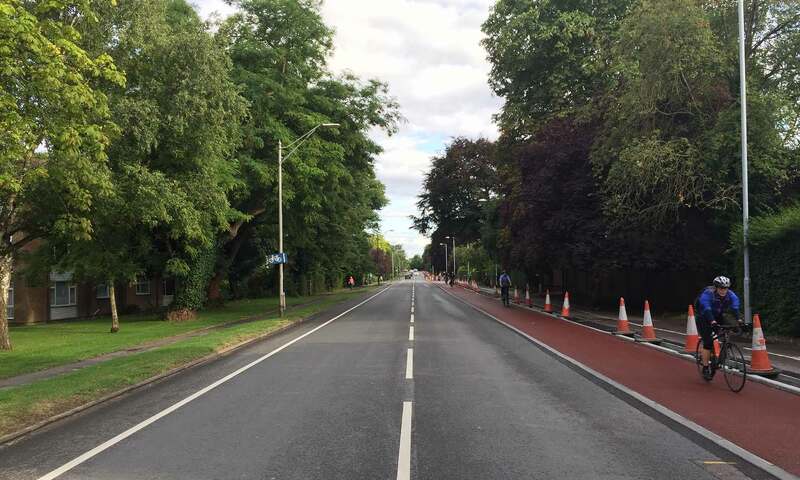 There was a brief respite given to 291 Hills Road, just across the junction from 292, when the City Council Planning Committee recently threw out plans for flats on that site, but the latest response from its owner, Gibson Developments? An application to demolish it anyway. And as with 291 Hills Road, and 3 and 5 Queen Edith’s Way before them, if owners want to demolish houses which aren’t listed, there’s currently little which those who care about the neighbourhood can do to stop them. 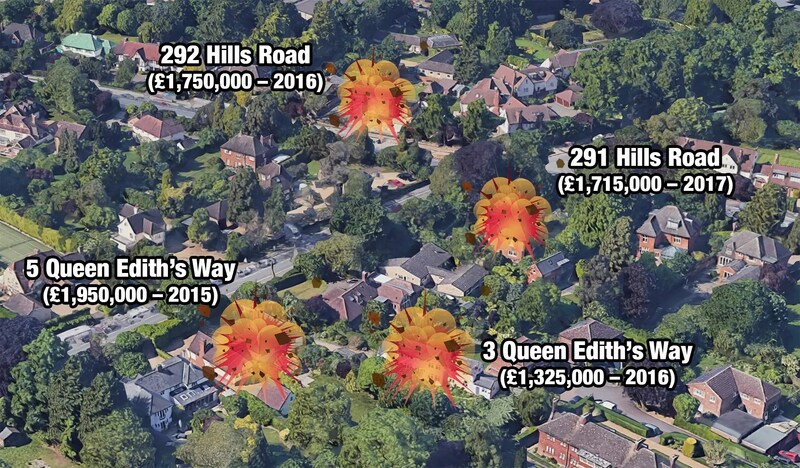 If these scheduled demolitions go ahead, property developers will have bought four long-established family homes within a 100m radius, at a cost of well over six and a half million pounds, just to destroy them. Of course, what’s built in their place might be beautiful, or it might be the type of accommodation the area really needs; but I don’t think any of us believe it’ll be either. I fear that we could be at the start of a terrible time for established houses in this area. Property ‘development’ companies are circling like vultures. The latest edition of the City Council’s own magazine contains adverts from two more companies (not involved in the properties above) targeting homeowners with the offer to “help land owners unlock the maximum potential value from their plots” and “pay cash for any purchases” if you have “a large garden… in Cambridge”. I always assumed that as a rule, nobody would demolish a property without accepted plans for the site, for fear that council planners would take a dim view and consequently insist on a less profitable replacement than hoped. That no longer seems to be the case: the property developers here reckon they’re in control now, and they may be right. Demolish first, discuss later, and to hell with what the community might have wanted. Changes may have to come from a higher level than the council, but we need to gather ideas and push for action. Better to redo the Suburbs and Approaches Study or see about getting houses listed as BLIs in concerted effort. Think there is a case for doing it to prevent pre-emptive demolition of specific large houses. You are absolutely correct. Building of local interest is a non statutory local designation that does not prevent demolition. Only an English heritage grading can do that and as we discovered in the Wilson terrace campaign that is very difficult to obtain. With a BLI the developer cannot simply demolish as in 291 & 292 but must apply. See 4.12 in Local Plan. It prevents pre-emptive demolition as is happening here. So yes there is more protection than currently exists for those 2. Details of Sunday afternoon’s gathering can be found here. Let me have your email address and whenever there's something new on this site, I'll send you an email. Obviously I won't use your email address for anything else, nor will I pass it on. Click here for more details. Why is this area of Cambridge called Queen Edith’s?